Quilting Dreams opened in 2005. Owner, Jeanette Kiech, A former math teacher, bought the quilt store when a friend mentioned that the one in town was for sale. 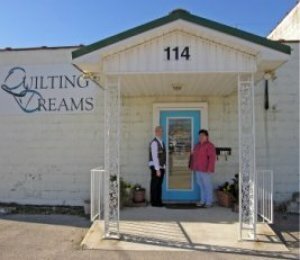 Although her quilting experience was not extensive, she took that leap of faith, and after some remodeling, a new entrance and parking lot, and a name change, Quilting Dreams opened its doors. Turns out Jeanette's quilting twin was absolutely right. After attending the quilt show in 1999, Jeanette began quilting...and she hasn't stopped! Jeanette's co-worker, Mary Miller, is a outstanding employee and quilter. She especially loves needle turned appliqué and hand quilting. She does many of the samples that one sees in the store and teaches classes. With more than 40 years of experience, she is able to answer customer questions with knowledge and enthusiasm. 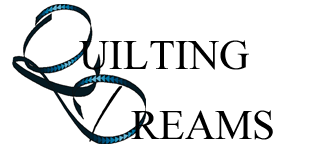 At Quilting Dreams we are building a community of quilters. We want everyone who comes in to the store to be inspired to try a new project, get motivated to finish a work-in-progress, or to just relax and enjoy the colors and textures of the fabrics. We pride ourselves on our customer service and love sharing the excitement and satisfaction of quilting with our customers.